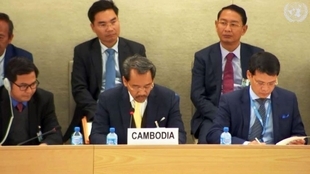 Since elections in 2013, civic space in Cambodia has become more repressive as respect for human rights continues to deteriorate. Recent legislation governing NGOs and trade unions compounds the situation by making it more difficult to register and operate a civil society organisation. Although constitutionally protected, subsidiary legislation restricts the right to freedom of association and undermines civil society operations in Cambodia. Organisations that work on land rights, women’s rights and advocacy face more serious restrictions and harassment by the government. Although constitutionally protected, subsidiary legislation restricts the right to freedom of association and undermines civil society operations in Cambodia. Organisations that work on land rights, women’s rights and advocacy face more serious restrictions and harassment by the government. In 2015, the National Assembly, having failed to properly consult civil society, passed the restrictive Law on Associations and NGOs (LANGO). LANGO imposes a mandatory registration process, onerous reporting obligations and broad and vague grounds for denial of registration and deregistration of organisations. People in Cambodia must give five days’ notice for most protests and 12 hours’ notice for gatherings of less than 200 persons. Additionally, a protest can only be held in the hours between 6am and 6pm. People in Cambodia must give five days’ notice for most protests and 12 hours’ notice for gatherings of less than 200 persons. Additionally, a protest can only be held in the hours between 6am and 6pm. In practice, the right to freedom of assembly in Cambodia is severely restricted and the police routinely respond to peaceful protests with excessive force and mass arrests of protestors. For example, in 2014, the police fired on garment workers during a protest for higher minimum wages, killing at least three people and injuring several others, leading to theprohibition of rallies and street marches in the capital. The arbitrary arrest of protesters is also common in Cambodia. In 2015, in the Koh Kong province alone, three activists from the NGO Mother Nature were arrested while working on a campaign to prevent alleged illegal sand dredging, and a community representative was arrested on charges related to his peaceful activism against a major dam project. In Cambodia, journalists often face intimidation, attacks and harassment from the government, in particular journalists that cover opposition protests and land issues. Defamation legislation includes written criticism of public officials or institutions, and journalists face jail time for failure to pay large fines that result from conviction. In Cambodia, journalists often face intimidation, attacks and harassment from the government, in particular journalists that cover opposition protests and land issues. Defamation legislation includes written criticism of public officials or institutions, and journalists face jail time for failure to pay large fines that result from conviction. In 2014, a British journalist was convicted of defamation and ordered to pay the equivalent of U.S. $2,000 in fines and U.S. $25,000 in compensation. Moreover, Internet users have being detained and criminally charged for comments made online. For example, an opposition senator was arrested on forgery and incitement charges for posting a video concerning Cambodia and Vietnam’s shared border.